Grace and peace to you from our Lord, Jesus Christ who is able to keep us from falling and is faithful to bring about your calling. Welcome from the faculty and staff of Bible Believers Christian College and Seminary. You are destined for one of life's great adventures, the training and equipping for the ministry by embracing God's Word and precepts. "That [they] should know Christ and the power of His Resurrection." Are you that type of person that can be poured into, the type that will pour into others? If you are, you are emblazoned with the passion of the Father to feed his sheep, if you are committed to the furtherance of His kingdom, then Bible Believers Christian College and Seminary will commit to you. 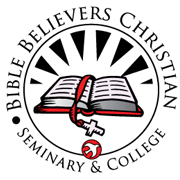 Bible Believers Christian College and Seminary has been on the cutting edge of higher Christian education. We've strived to deliver a Christian educational program to wherever there was a heart crying out to be equipped for the ministry. Although we have made it easy to deliver a Christian educational opportunity to you, we have not made education easy. It takes serious commitment. But if you commit yourself to God and His calling and purpose in your life, He will see you through. Put your hands to the plow and do not look back. Remember, "He is faithful who called you, and is faithful to bring it to pass." I believe that we've put together a Christian education program that will benefit your walk and your ministry. Enclosed is a packet of information that will initiate you to all that Bible Believers Christian College and Seminary has to offer. After reviewing this information, please feel free to call us to answer any questions. Or simply complete the enclosed application and send it in with your picture. 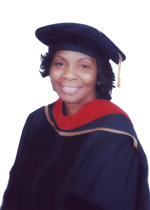 We look forward to hearing from you, and hopefully seeing you start your great ministry and looking forward to that future day when I can personally hand you that hard-earned degree. May God bless you as you seek His will for your life.